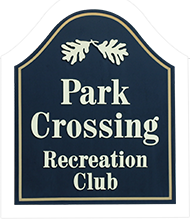 Combine pristine sand, Pro Beach lines and avid enthusiasts and you have the PCRC's Volleyball club. One of our more popular clubs, they have both a highly competitive group and more casual side as well. The courts are immaculately maintained, with Pro Beach boundaries and continuous upkeep. Competitive matches occurring every Thursday at 7:30 pm and Sundays at 2:30 pm. High energy action, fun and friendship is the order but we take the game seriously. 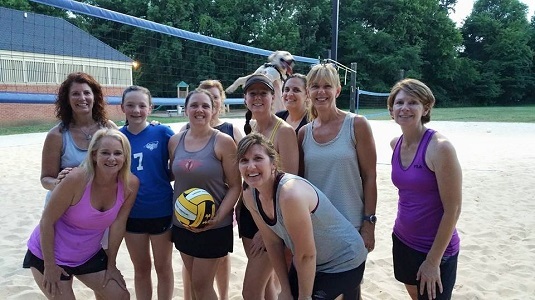 Volleyball for beginners is hosted the first Thursday of every month at 7:30 pm. It’s a great place to start to see what level of competition you want to be involved in. Contact Max Perkins if interested. In the fall, one net drops to half mast to play Beach Tennis. Take the fun and fast-paced sport of Tennis, combine it with the beach and you have All-Volley/Beach Tennis, the most electrifying new sport to hit the U.S. In the summer, the net is raised in anticipation of the Park Crossing Invitational. 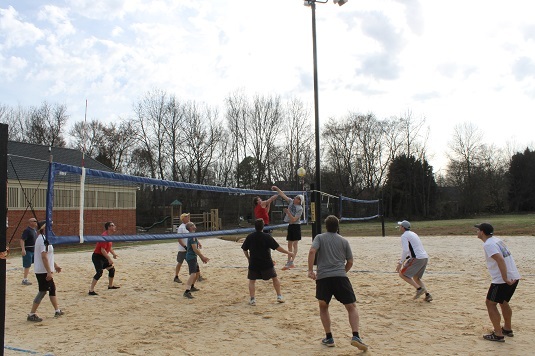 A 4-v-4 volleyball tournament where local high schools and churches are invited to attend. All are welcome, dates to come! For the ladies, our most popular night for some friendly social games and to meet new people in the volleyball community is Monday night. Every Monday features a beginner primer and post-game beverages. Contact Mary Perkins for more details. 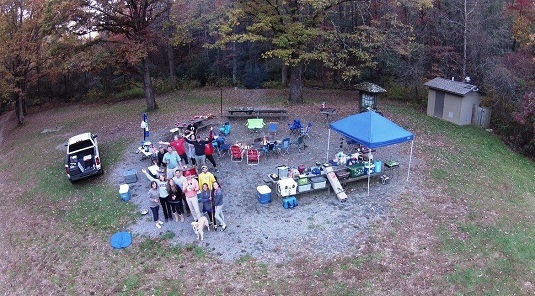 The Volleyball Club also enjoys the occasional fish and dish outing with many of the regulars opting for a day of fishing and then a cookout. It's a fun way to be surrounded by nature, get to know your neighbor and share a meal. Volleyball is a great way to get your children moving and performing activities that are natural to most children. It creates team work, and provides a solid foundation for youngsters on working together as they learn to defend, pass and hit. 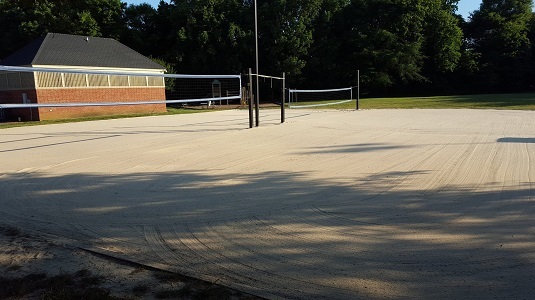 Best of all, it takes place in our sand volleyball courts and the children just love it. The coaches Emily Franklin and Mikayla Derochie are 4 year starters for the varsity womens volleyball team both currently play for Davidson College and bring a youthful energy to the beach volleyball court. Contact Todd Upchurch if interested.